Recently Yahoo! News published an article about Brazilian men and cosmetic surgery. The article stated that a study by the Brazilian Society of Plastic Surgery reports, “Plastic surgery quadrupled among men from 72,000 to 276,000 operations annually from 2009 to 2014.” According to the news article, that is approximately one cosmetic surgery every two minutes for Brazilian men. The number of US men having cosmetic surgery has not risen as dramatically as in Brazil, but it is certainly not uncommon for men to have a procedure done. 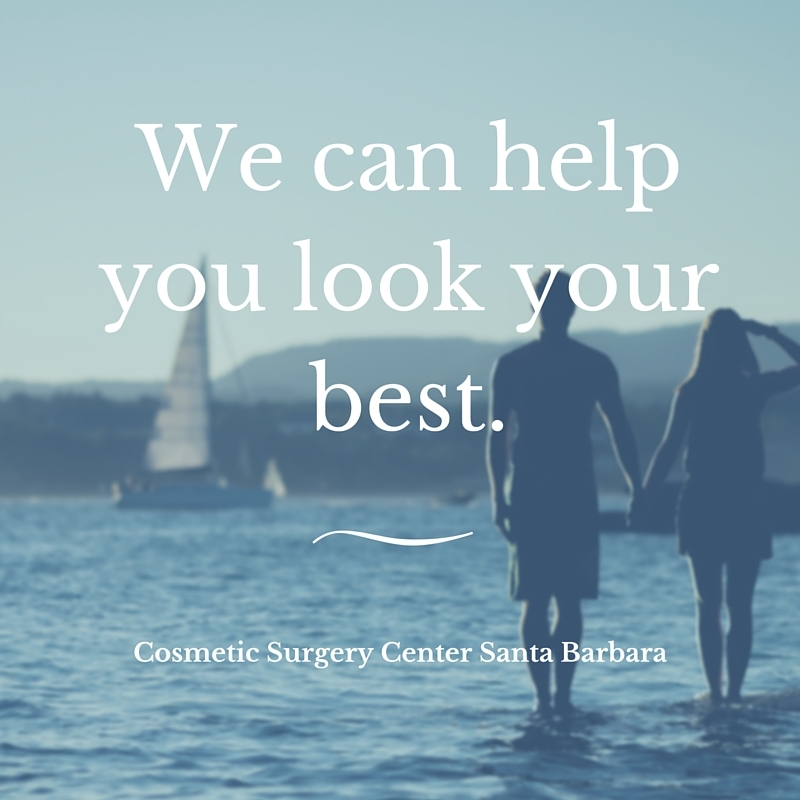 At our Santa Barbara Cosmetic Surgery Center practice, we have quite a few male patients, some of whom are repeat clients. 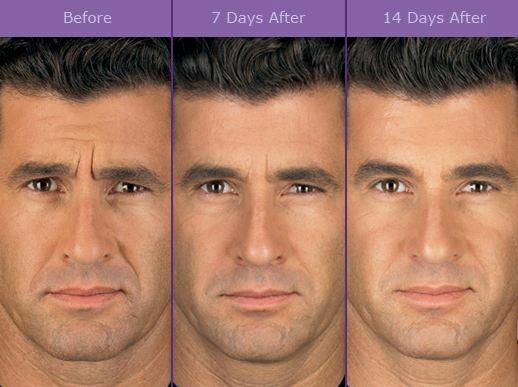 However, we have seen a lot of growth in men seeking minimally-invasive procedures such as Botox and fillers. This goes hand-in-hand with the 2014 Plastic Surgery Statistics published by the American Society of Plastic Surgeons that reported over 410,000 men had Botox or Dysport treatments in 2014 (up 337% from the year 2000). Why are Botox and dermal fillers becoming more popular amongst men? There may be many different reasons why a person decides to use Botox and/or fillers but I will speak only from my experience as a Santa Barbara cosmetic surgeon who regularly treats both men and women with Botox, Dysport, and dermal fillers. While many women seek out these aesthetic treatments to look more youthful, men seem to be less concerned with looking young and more interested in looking “refreshed” or not looking tired or angry. Botox and Dysport will temporarily soften forehead frown lines and the “crow’s feet” around the eyes and the result will be a more approachable look. Dermal fillers can subtly add volume to areas where volume has been lost (cheekbones, eyebrows, under eyes, jawline). The result is a more defined appearance. There is a difference between how and where fillers are used in men and women so it is important to see a person who is experienced and educated in using fillers in men’s faces. Botox and/or fillers are also easy to have done. Treatment time can take between half an hour to an hour and does not require any down time. Men and women can return to their normal routines right after their appointment. Men tend to share less about these treatments (and cosmetic surgery procedures) amongst friends, family, and colleagues, so having a Botox or dermal filler treatment can be easily be done without anyone else knowing about it. 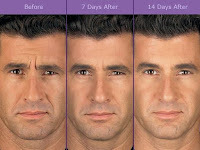 I have been doing Botox and dermal filler injections for men and women for many years. I strive to have my patients look “naturally” rejuvenated so no one suspects they had anything “done”. 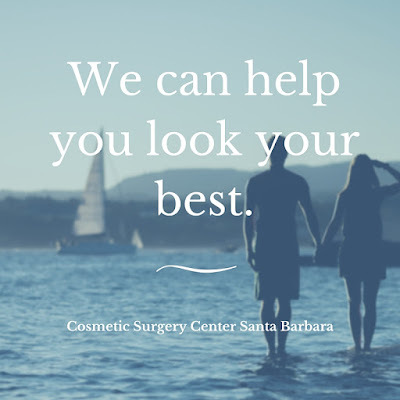 If you are a man or woman interested in having Botox, Dysport, or dermal fillers done, please call my Cosmetic Surgery Center office in Santa Barbara at (805) 563-0000 to schedule an appointment. We have known for a long time that genetics play a role in wrinkle formation and, in the last few decades, we have discovered that sun damage (UV rays) and environmental pollutants (car smog, factory smoke, cigarette smoke, etc.,) also play a role in skin damage and skin disease. Stress, as well, takes a toll on the entire body, and can accelerate the aging process which includes developing wrinkles, turning hair grey, and loss of eyesight and loss of hearing. Commute time was explained as both being stressful and being exposed to UV rays through the car’s windows. Ethnicity/race is a key factor associated with skin damage with some racial groups (Northern European) being far more at risk. A high percentage of smokers and unhealthy eating pushed some states towards the top of the list. A state with less sunny days does not mean that a person is at less risk for wrinkles or skin disease. For instance, Oregon has one of the highest melanoma rates in the US. Hawaii, known for almost endless sunny days, ranked surprisingly low at #47, and has one of the lowest rates of skin cancer (which may be a combination of the ethnicity of the people and the laid back, or low stress, lifestyle). This article was interesting and it was fun to see where our state ranked (California was #36). Use sun protection on a daily basis, year round. See your dermatologist for annual skin check-ups. Invest in skin care products that are effective. Medical grade skin care products have more potency and are usually backed by clinical research and thus, have a greater ability to protect, heal, and restore than skin care products from a department store. Have your skin regularly treated (facials, chemical peels, and so on) at a reputable medical spa. Doing all this may not entirely prevent wrinkles, but it may keep them at bay or lessen their severity. Should you feel that your wrinkles could be “relaxed” or erased, there are non-surgical options such as Botox or dermal fillers, and, for those who have more severe wrinkling and skin issues, there are cosmetic surgery options as well. If you would like to discuss wrinkle treatment options, both surgical and non-surgical, contact my Santa Barbara Cosmetic Surgery Center office at (805) 563-0000 to make an appointment.